ServiceMaster Clean of Toronto has been providing Extraordinary Commercial Cleaning Services for over 40 years. We provide carpet cleaning and other specialty cleaning services to a variety of industries located in Midtown Toronto, Scarborough, East York, Beaches, Don Mills and North York. Whether you are in a commercial tower, a retail location or a manufacturing facility; from 100 square feet to over 300,000 square feet, ServiceMaster Clean of Toronto can provide the commercial cleaning services and programs to keep your facility looking its best. We are available 24 hours a day, 7 days a week, for all your specialty cleaning and emergency requirements. 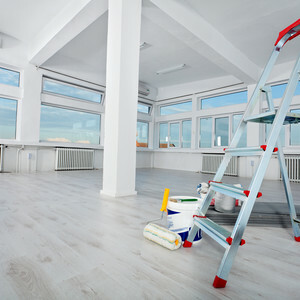 ServiceMaster Clean of Toronto is a certified commercial cleaning company. We are a certified office cleaning company through the IICRC (Institute of Inspection, Cleaning and Restoration Certification) and the CRI (Carpet and Rug Institute) and meet all industry standards and requirements. Our mission is to provide great service and to ensure your satisfaction. To ensure this all work provided is guaranteed. We welcome you to experience the ServiceMaster Clean difference.